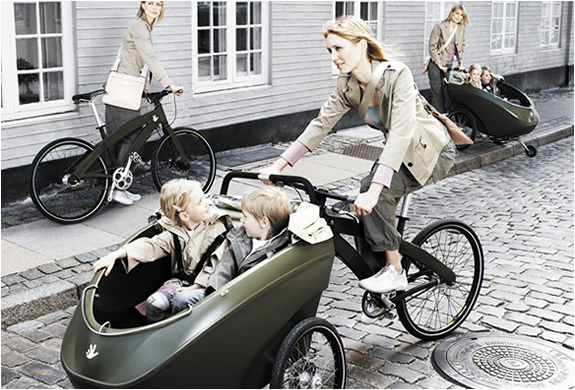 Triobike from Denmark, is ideal for those wanting to take their children to school safely and quickly, with two seats in front. 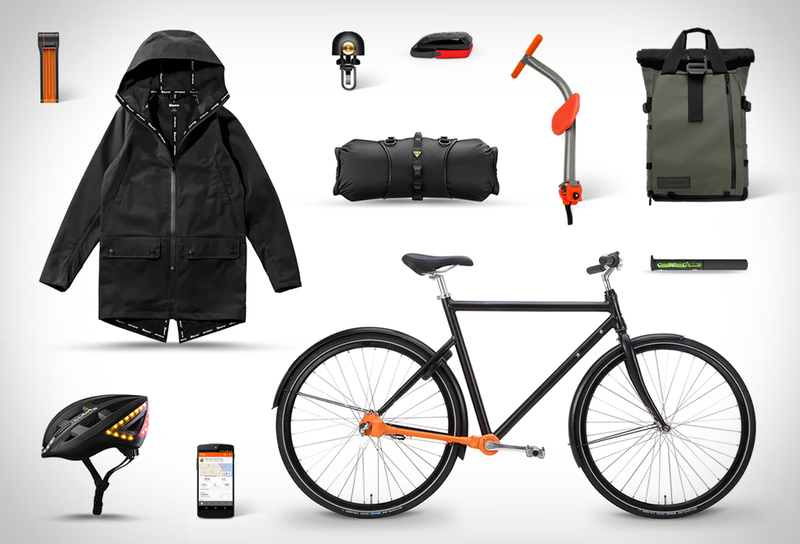 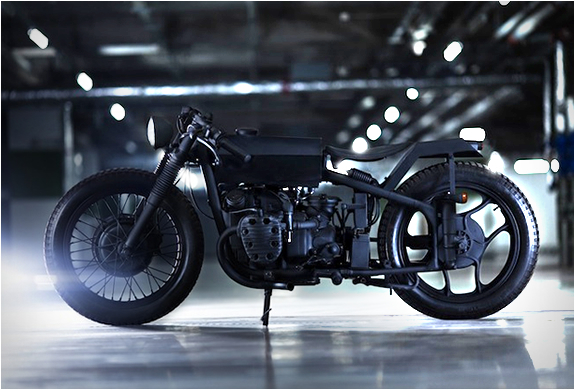 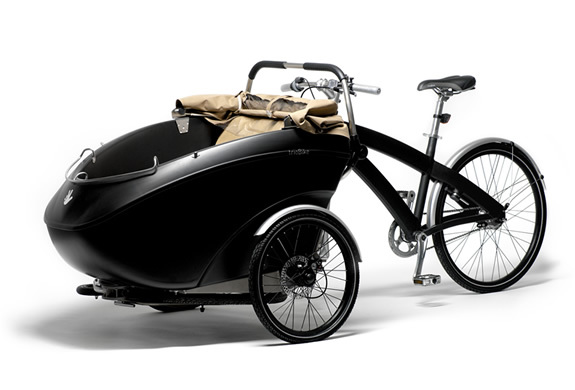 It also functions as a simple bike, and can be used to transport objects. 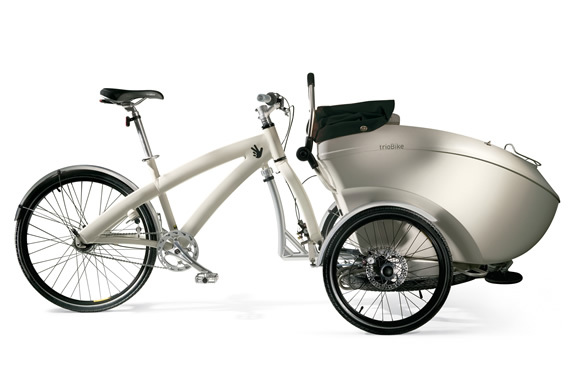 The trioBike carries up to 80 kg load, or the equivalent of two children under 9 years. 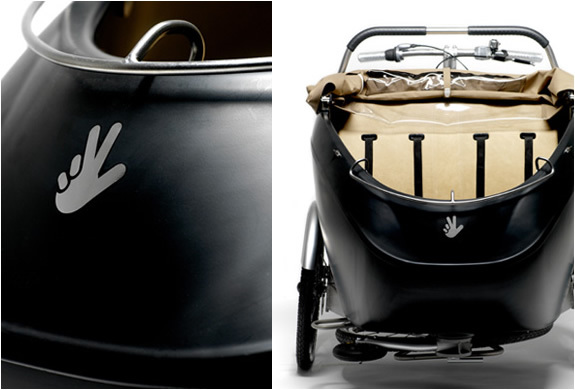 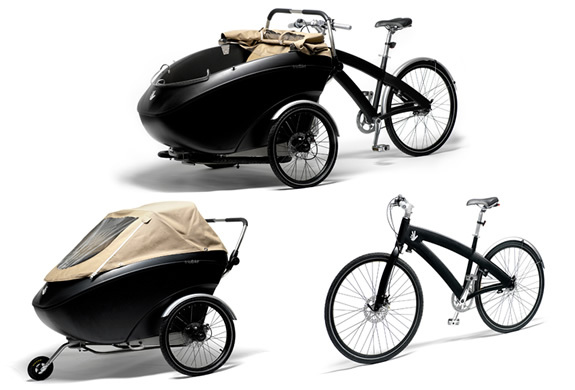 It has three main functions: a carrier bike; a bike; and pushchair.